This quilt/wall hanging is so much fun to make. It is from “America Makes Fast Quilts“. The finished size is 27 1/2″ x 27 1/2” but the website gives you options for adding 2 additional borders to increase the size if you want. 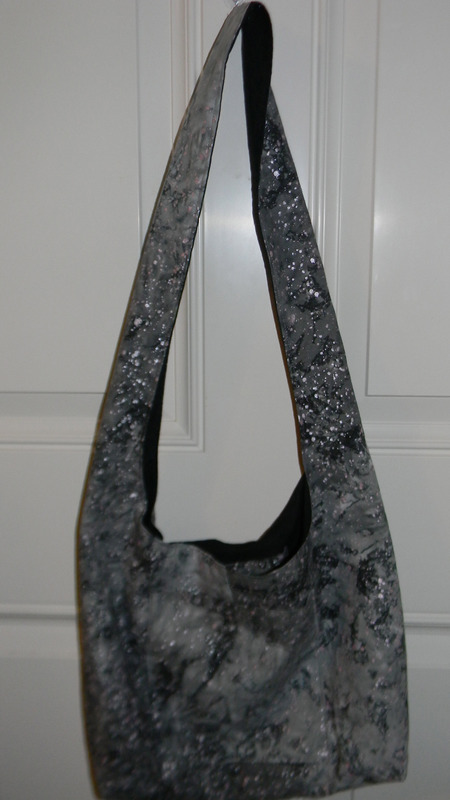 You can use any fabrics you like and is great for using up scraps. It can be made for a boy, girl, man or woman by easily changing the fabrics. It could even be made for a wedding anniversary. I have an embroidery sewing machine so was able to embroider names. The original wall hanging leaves the white strips blank and this could be a space for signatures or for pictures. 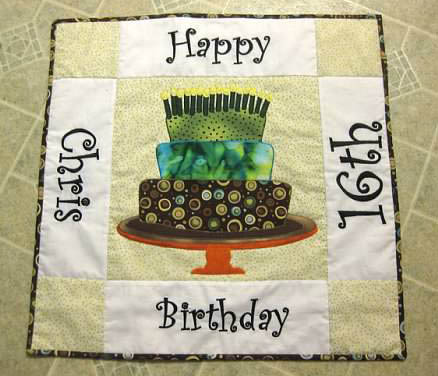 On the 16th birthday quilt I used fabrics with patterns so did not use the polka-dots, wedge or striped overlays. The cake and candles are backed with fusible web, ironed on and then satin stitched. You can quilt the whole piece if you want but I just stitched in the ditch and around the cake. 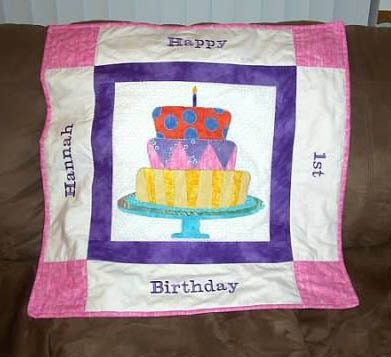 This entry was posted in Crafts, Posts, quilting, quilting, Sewing and tagged birthday, birthday quillt, quilt, sewing. Bookmark the permalink.